Monday Night Beginners Intro to Squash: Six-week courses are regularly offered on Monday nights from 7:15pm to 8:00pm. If you have a friend interested in playing Squash, this is a great way to get you on court to learn the basics of Squash. Register at Cedar Hill Recreation Centre reception. Thursday Night Women's Round Robin: Weekly from 7:15-8:45 pm. This program is for beginner to intermediate womens squash players. The evenings coach will start the evening with simple feeding drills to help the participants improve their stroke technique. Afterwards everyone will mix-up and play games for the remainder of the session. Monday Night - Level II Squash Instruction: Players who know how to play squash and looking to sharpen their skills on court. We focus on Drops, Drives and Volley practice to increase our awareness and ability to strike the ball. This is a club based program and advertised to members first. Squash is an ideal activity for kids. It promotes fitness, body movement, coordination and it’s fun. Tournaments are held throughout the year both in and out of town. Regular participation in an after-school program will provide both coaching and the opportunity to play others at the same level. A Junior drop-in on Sunday mornings provides everyone with an opportunity to play social games and chat with friends. Many of our club program kids have moved on to hold top 5 rankings in Canada in their age categories. Kids with the desire to work hard and play 4 to 6 times a week may try to qualify for the High Performance junior program. This program involves, individual training, match play, mentoring, strength training (when physically old enough) and or movemnet training. Our top kids are being recruited by American University's to play squash in the US. Squash is a door way to teach kids the importance of hard work, determination, mental training for competition on and off court, and get them an ivy league education. For more information please contact Ben Uliana. In partnership with the Cedar Hill Squash Club and the Cedar Hill Recreation Centre, a variety of introductory Junior development programs are offered from September to June. After school programming is available on Tuesdays (11-14) and Wednesdays (9-11). To view availble programs, click on the Cedar Hill Rec link above. On Monday and Friday the club schedules training groups for intermediate and advanced level Juniors aged 12-17 yrs. For detailed information, contact Ben Uliana If you are interested in developing skills for Junior tournament play, this is a great program! Players wishing to join this program will be assessed prior to admission. Players attending the Sunday drop-in can participate on the ladder too. Our Club Social convenes at 7:15 every Tuesday night. The format is simple: Enter your name on the chalk board beside the next available player, or put your name below the last pair of names, and when your names come up, you typically play one game to 21 using Point-a-Rally (PAR) scoring. When finished, you put your names up so that you can play someone else next round. Play continues until 8:45. Then comes the real reason for this regular event: drinks in the Gallery Lounge where players relax and socialize with kindred spirits. 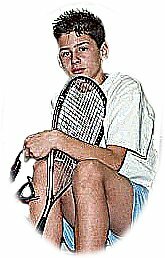 Private and semi-private lessons are available and provide individualized instruction to improve your squash game.